The first round of the 2018 Journey To Memphis competition will be held on Saturday, May 19 and Sunday, May 20 at Mekong Bistro, 8200 NE Siskiyou Street in Portland. The CBA will hold the event earlier this year to avoid conflict with Rose Festival events and holiday commitments on the weekends of Mother’s Day and Memorial Day. Also, this year’s competition will take place during the afternoon to allow acts to keep already scheduled evening gigs. This event will determine The Cascade Blues Association’s representative for the International Blues Challenge in early 2019. The highest rated acts from this event will compete in the finals during this summer’s Waterfront Blues Festival. 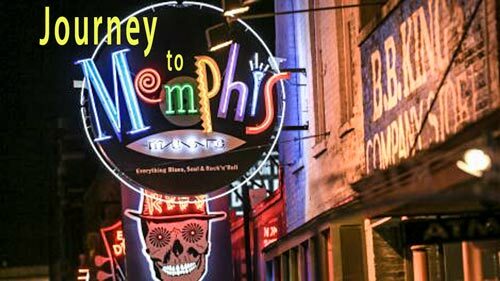 Applications to compete in the Journey To Memphis must be turned in no later than the April Cascade Blues Association Membership Meeting on Wednesday, April 4. If sent by mail, the application must be postmarked prior to April 4. Blues acts from Oregon and Washington who have not been nominated for or received a Blues Music Awards are eligible; this applies to all members of bands who may have been nominated – no exceptions. Application fee is $25.00 and all money will go toward prize money for winning acts. You must submit a short intent to compete letter, a band bio, any performer under 21 must be noted, a photo at least 300 dpi, and a sample of your music (full length songs or CDs as we try to set time for radio promotion if possible). Application packets can be turned in on hard copy (paper), disc, or USB thumb-drive. Set lengths will be determined depending on number of acts submitting applications and set times will be drawn at random. Due to state-required building updates and improvements, The Garages will be closed until further notice — thus the reason behind the change of venue for the Journey to Memphis competition.